For the fouth time FYROM or Macedonia will be taking part in the Eurovision Song Contest. As a former Yugoslav republic the country has always tried to present itself completely new and also authentic at the same time at the Eurovision. Over the past years this worked quite well but was unfortunatalely never honoured with many points. Their best result was a 15th place in Stockholm in 2000. Macedonia has to participate in the Qualifying Round this year in order to make it to the final. They could do well this year! 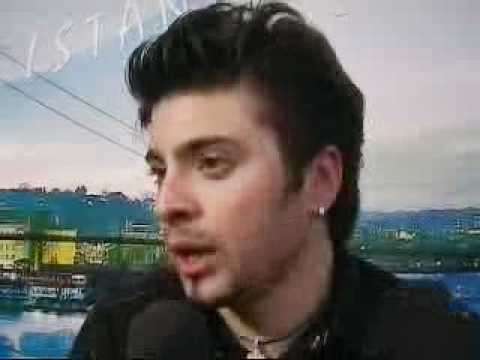 The singer Tose Proeski was chosen by the Macedonian TV-station MKRTV internally. He is one of the most popular singers of the country and he will sing his song "Life is" in English to make it internationally more suitable for understanding. A lot of Eurovision fans would like to see more songs sung in the countries' own languages in order to add more variety to the contest but nowadays there is no way around the English language if a song is set out to be successful throughout Europe. "Life is" is a folkloristic cong with modern elements like the song from Serbia & Montenegro. In the video there is an impressive choir and a magical atmosphere is created. If Tose manages to bring this atmosphere to the stage in Istanbul, Macedonia might make it to the final easily. Good luck, Macedonia!